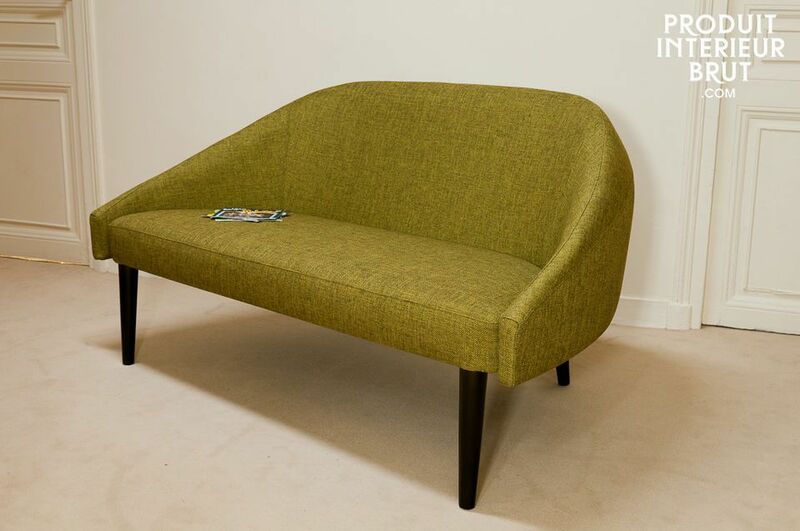 The Kurva sofa definitely bring back memories of the Scandinavian armchairs of the Sixties on account of its cone-shaped legs and green heather-effect fabric. However, it has been rethought with modern flair to add a design touch to your interior. Its contemporary silhouette means it will complement equally a retro decorating style, and a more present-day interior. 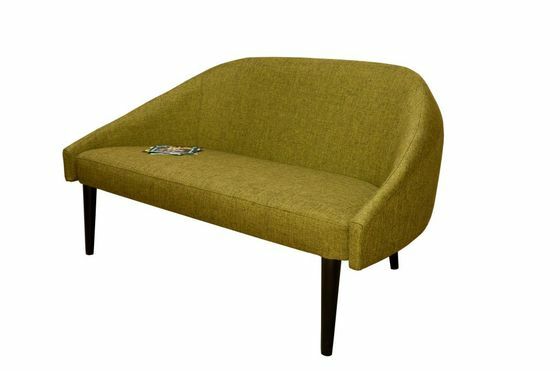 Its green fabric and solid wood legs will add warmth and definite character. Put it together with a Kurva armchair in a living room, or use alone in an entrance hall or library. 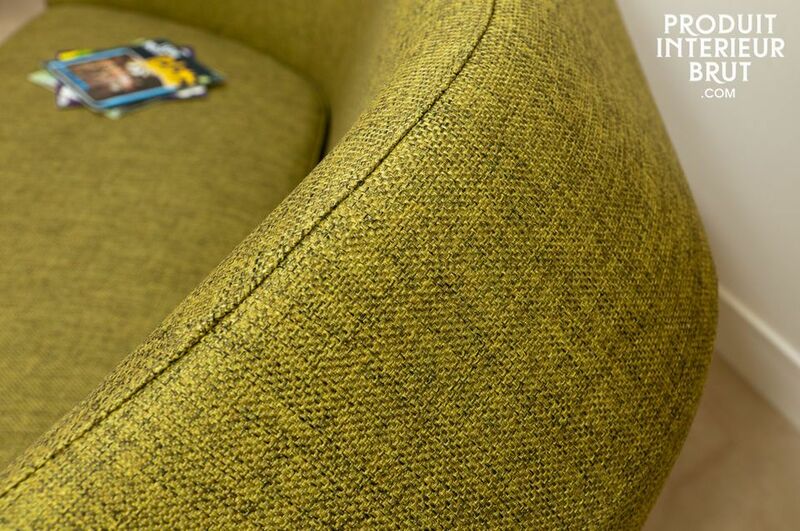 The Kurva sofa has a foam-filled seat, but it is above all the well-padded back that makes it so comfortable, that matches the natural curve of your spine. 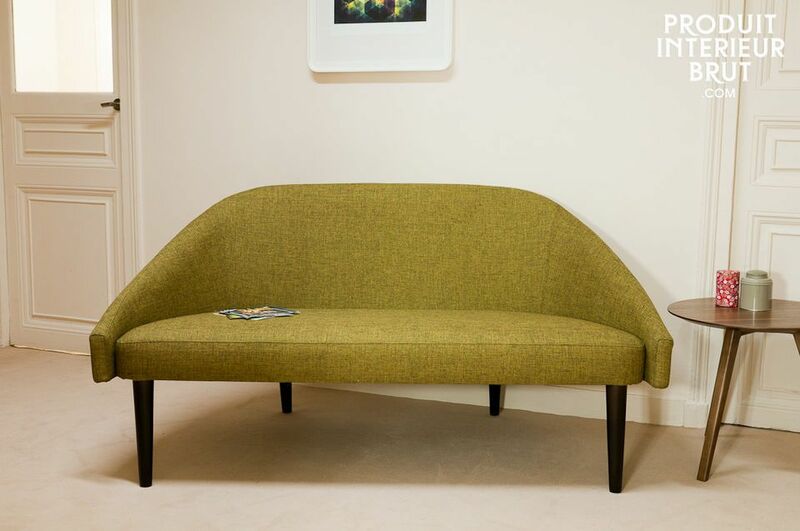 The Kurva sofa is covered with fabric that is resembles natural tweed but is much more resistant: it has a density of 615g/m2 and has been tested to withstand more than 100,000 double frictions. It has been fireproofed, and surface stains can be dealt with easily, an immediate quick wipe of a sponge is all that's needed.